Asking the right question is no easy task. 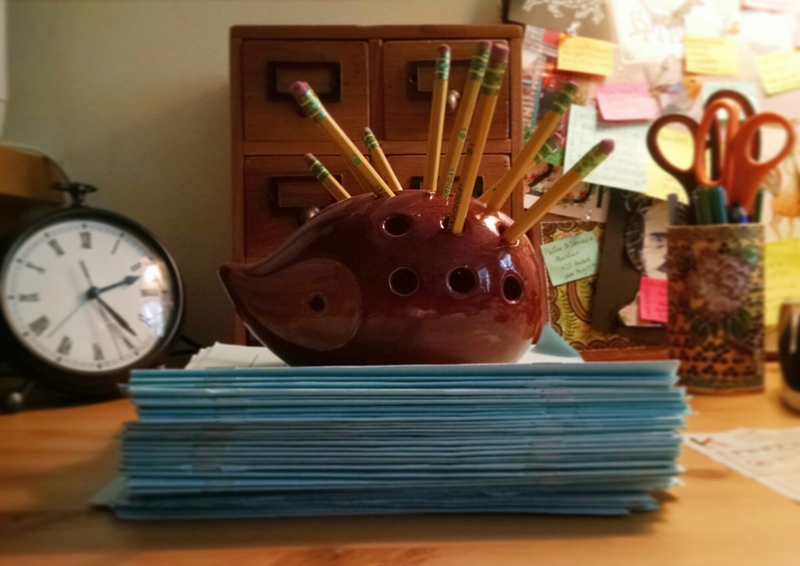 Teachers spend years fine-tuning questions and lesson plans. But when students get these questions, it’s for the first time. According to my students, the hardest paper assignment I gave them was for our poetry unit–but not because it was on poetry. I asked my students to explicate a poem, performing their own original reading of the poem’s meaning. The hard part was the lack of structure–I asked them to construct their own thesis questions and statements–and they were afraid of being wrong. I have faith in my students’ ability to construct a thesis at the end of the semester because we have spent months on arguable claims and composition. My response to them was twofold: critical thinking requires taking risks but one can minimize the risk by understanding how questions are formed. To lessen their fear about the final essay exam, I made them the question-makers. Students practiced forming thesis questions by writing their own final exam questions. 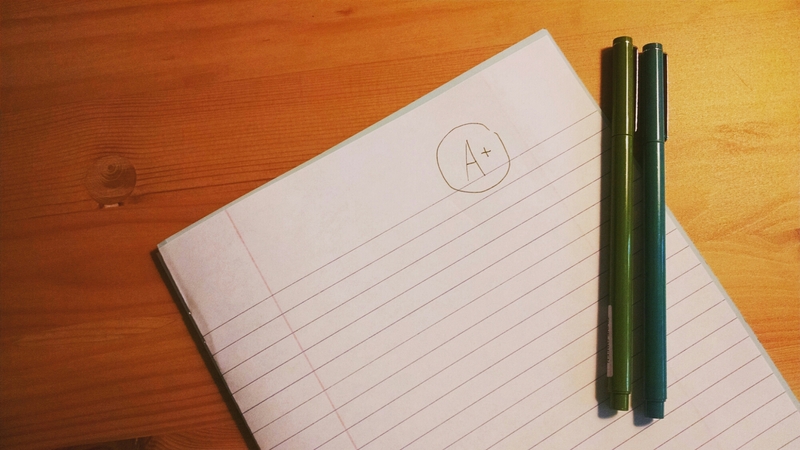 Although studies have shown that there is little pedagogical benefit to final essay exams, many departments outside of English ask students to take them. I would rather avoid a timed essay exam because my main goal is to help students start preparing a paper weeks in advance of a deadline. However, it is fitting that students get practice preparing for essay exams in their required composition course if that’s what they are expected to do outside of it…at least in college, if not after. Two class periods before their final exam, I put them into groups of 4-5 and asked them to write the exam. Each group needed to write three questions, one for each genre we read (or they could combine two genres into one question and write a creative writing question as one of the three). I posted some helpful vocabulary on the board with useful definitions for task-terms such as these: analyze, examine, compare, describe, and demonstrate. I also asked groups to construct each question with a different task-term. The definitions helped students really understand what task each word asks a student to do, and I explained that longer essays might ask for two or three things while short essays ask for only one. Walking around the room, I facilitated discussions about what makes a good question and helped students think about what answers they were looking for. During our last class before the final exam, I posted a Google survey that contained all of their questions and students voted on their favorite six (I let them take out their phones for this). The questions largely remained as the students had originally written them, save for a few grammatical changes. I emailed them the final six questions (they had to choose three out of the six to answer on exam day) so they could practice at home. Students constructed and voted for questions that had clear expectations, reflected the theme of the course, and that they knew they could answer with the skills they had learned. The questions were fair, required having read the texts, and they didn’t ask too much of students. The creative writing questions were not only fun but also required in-depth knowledge about the texts. For instance, one question asked students to write a parody of a poem and I reminded them that their parodies needed to reflect the rhyme and meter of the original, and to use select diction to hint at what poem they were parodying in order for the parody or satire to be successful. Broetry does a particularly good job of this, so I showed them an example. I did what I always do: before the exam, we talked through a few potential directions they might take in their answers. As you can imagine, the exams I read were stronger and inspired compared to previous exams I’ve given because students were invested in the process and the outcome. They were also less nervous, wrote more like themselves, and I believe they had an easier time recalling information because they were able to practice beforehand. While this exercise might sound less rigorous than a traditional exam format, the learning outcomes were great: increased understanding of how exams are created, and ability to determine what questions are asking for. Both lead to better exam-takers and better answers. I’m definitely not the first who has done this, but from what I’ve read and learned along the way it seems this is the best way to make a timed essay exam pedagogically valuable, especially in a college composition course. Exam writing in itself is an art of composition. If you try it in your class, I’d love to hear about it!